My oldest boy says to me, as we're loading up to head downtown ATL,"Can we listen to some KISS?" To which I say "Ummm - yes - why?" "Because," he says,"I wanna listen to something that rocks." Clearly his current social circle likes to ROCK. 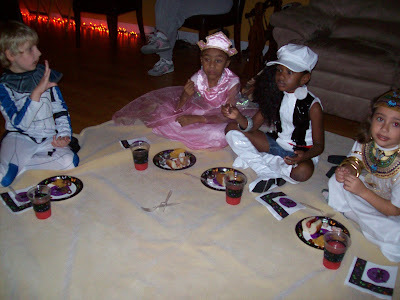 Is that one kid dressed like Lamar Latrell? I really like the new look!! !